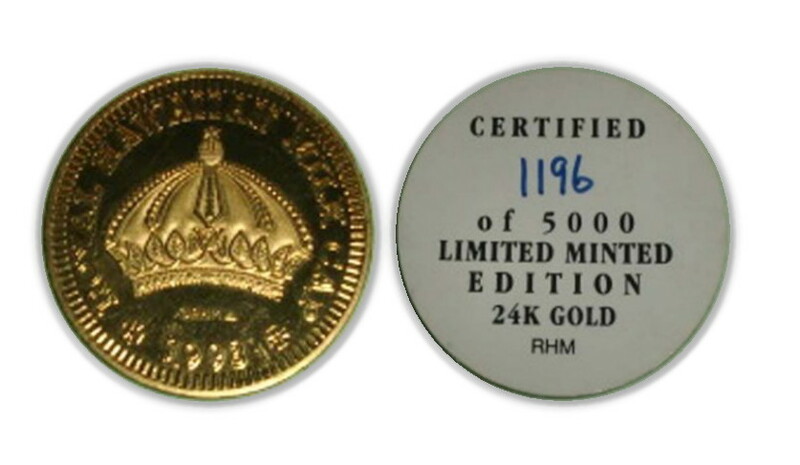 Listed in Waifs in Gold Boots (aka Royal Hawaiian Mint database). This is the Hawaiian Crown issue (one of four designs). The original issue price was $95 for the four different designs. Not really a coin. It’s a RHM issued “POG”. However, the design elements are similar to those used on the gold coins. 42 mm, 24kt gold on thick stock paper. Item sold on eBay for $21.50 on 2/28/2015.